Mike has been appointed Principal Designate of the Space Studio Banbury, a studio school with a specialist focus on space science and technology which is due to open in September 2014. 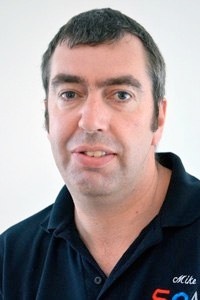 Awarded AST status in 2005, Mike was previously a teacher of Physics at Callington Community College in Cornwall. He is the founder of Callington Space Centre and has led the centre for the past 12 years. During this time he also had a role as the Southern Counties representative for ESA’s ESERO office. Mike has taught in South Africa as a Gatsby fellow as well as presenting for the past four years at the Space Explorers Education Conference at Space Centre Houston. Mike also managed the Lego Innovation Studio at Callington and works closely with Lego Education in the promotion and use of robotics to engage learners.